The EEA and Norway Grants represent the contribution of Iceland, Liechtenstein and Norway to reducing economic and social disparities in Europe and to strengthening bilateral relations with 15 EU member states in Northern, Central and Southern Europe. The content of the 5 priority sectors and 23 programme areas eligible for funding in this period will now be finalised. These are brought together in the draft ‘Blue Book’, which is the document subject to this public consultation. 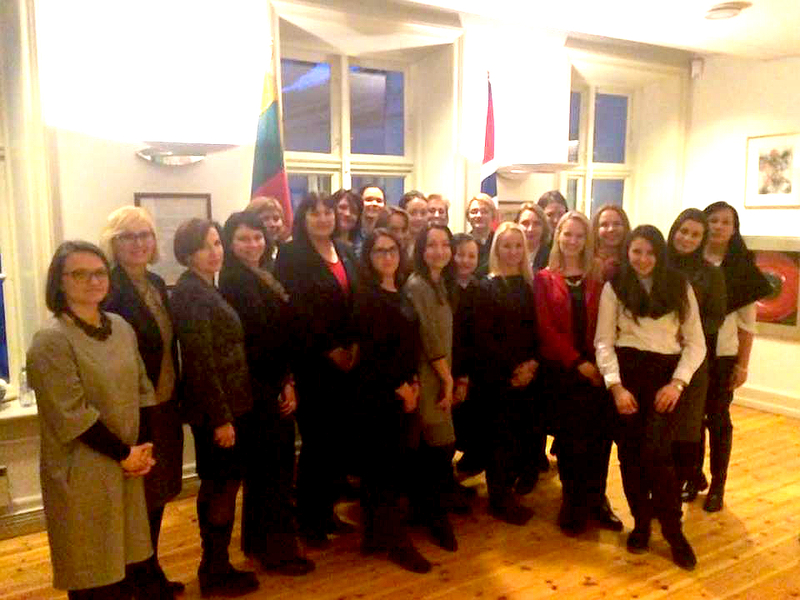 26th to 29th of January 2016, Lithuanian business women are visiting Norway on their Business Mission. The goal is to get a better insight into the business realities in Norway in general and share few experiences with the Norwegian fellow business women. 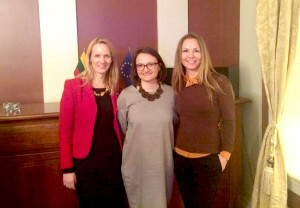 On their first day, Commercial Attacheé at the Lithuanian Embassy, Aleksandras Laurinavicius organised an event inviting various guests to share insights into Norwegian Economy, as well as statistics on gender equality. Both Norwegian and Lithuanian professionals shared their insights into the business aspects when working in Norway. Lihuanian-Norwegian Chamber of Commerce, represented by Vita Melinauskaite, had also the pleasure to welcome the delegation at the Lithuanian Embassy and shared few insights in what differences and similarities business professionals can expect in Norway in particular and in Scandinavia and Baltics in general. Below you may see the full programme of this event and the participants of the mission. 13.05-13.10 Introduction to the Lithuanian Business Women Mission. EUCCN represents a network Chambers and Embassies from 18 different countries from all over the European Union who work with linking bilateral business relations. It is an international business network that works every day to promote trade and business development between Norway and EU. Most Chambers of Commerce work with bilateral relations, where they provide information and assistance to Norwegian companies wishing to expand abroad, as well as help companies from respective countries to establish their enterprises in Norway. The network and how to use Chambers to gain access to new markets is new to many. Whatever you might be working with – food industry, tech, IT, investment, fishing or building industries you will always be able to gain access to needed network in EU countries by contacting respective Chambers or Commercial Attaches from Embassies. By using established professional networks, Norwegian companies can more effectively access the international relations with less risk. This seminar will provide insight into what and how Chambers and Commercial Attaches work, as well as what current issues and projects NHO, Ministry of Trade, Industry and Fisheries as well as Oslo Business Region works with relating to international trade and business development. NHO, Tore Myhre, Director, Dep. of Internationalisation and European politics. I samarbeid med Europabevegelsen i Bergen/Hordaland, EY, Innovasjon Norge, Litauisk-Norsk Handelskammer og ambassadene for Estland, Latvia og Litauen inviterer vi til møte om muligheter i Baltikum. De baltiske landene har de siste årene hatt en betydelig større økonomisk vekst enn de «gamle» EU-landene, og flere norske bedrifter har for lengst oppdaget Estland, Latvia og Litauen både som markeder og land det er gunstig å outsorce oppgaver til. De tre baltiske landene representerer et utvidet hjemmemarked med lange og dype felles kulturelle og historiske røtter med de skandinaviske landene. Selv om der er forskjeller, representer de tre baltiske landene også felles muligheter som det bergenske næringslivet må bli bedre kjent med. Derfor er det med glede vi vil presentere muligheter i alle tre land. Til Baltikum? Vi gir deg råd! 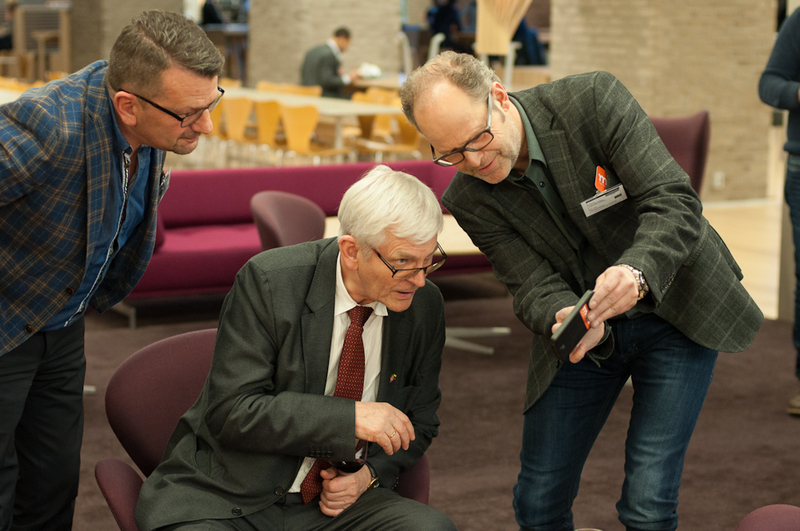 Det vil bli mingling, stands fra ambassadene og andre, samt gode muligheter for B2B etter innleggene. Møtet er åpent og gratis for alle interesserte. Lithuanian-Norwegian Chamber of Commerce(LNCC) and Norwegian-Lithuanian Chamber of Commerce(NLCC) are proud to invite you to a seminar about the Public Procurement in Norway. We invite Difi (Agency for Public Management and eGovernment in Norway) and Oslo Municipality to give their first-hand knowledge about the topic, as well as special guest from Lithuania to share how an international startupers can also succeed with the public procurement in Norway. The seminar is in English. The seminar is in English. SPECIAL GUEST: Bergblaa prosjekt AS is a small startup Norwegian-Lithuanian company. Their business model is based on winning the Public Tenders in Norway. The company is working on tender projects in the field of heritage protection, buildings and art restoration and conservation. Founded in 2014 it had turnover of 2,7 MNOK same year. Mr. Laurynas Dalgeda will share their success story and tips for small companies on how to succeed. NOTE! The price for this event is 100 NOK. This event is FREE for members of Lithuanian-Norwegian Chamber of Commerce and Oslo International Hub. 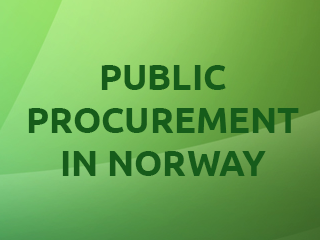 Lithuanian-Norwegian Chamber of Commerce(LNCC), Norwegian-Lithuanian Chamber of Commerce(NLCC) and Oslo International Hub (OIH) are proud to invite you to a seminar about the Public Procurement in Norway. We invite Difi (Agency for Public Management and eGovernment in Norway) and Oslo Municipality to give their first-hand knowledge about the topic, as well as special guest from Lithuania to share how an international startupers can also succeed with public procurement in Norway. The seminar is in English. Oslo International Hub and Lithuanian-Norwegian Chamber of Commerce, in cooperation with DNB, is inviting you to a seminar/workshop with DNB on how to make a solid presentation. NB! This event is primarily for Oslo International Hub and LNCC members. The number of seats is limited, therefore “first-come, first-served” principle applies. After the event we continue with the Friday Social in the house and participants are welcome to join. Ins and outs of making presentations that your readers, listeners and audience will remember. Insiders knowledge delivered by DNB startup enthusiasts. With insight from working in Norway’s largest financial institution DNB, David and Marius shares their knowledge about how to get through with your message, may it be a business idea, for a loan application or in project management. · Theory – The pyramid principle, structuring the message, organization of arguments and active headers. · How to structure presentations – Storyboarding, key questions to ask yourself, and use of the pyramid principle in practice. · The power of a Powerpoint slide – tips & tricks, illustrations, presentation vs. documentation slides. We cannot promise that you will become a communication expert after this seminar, but you will be given a set of tools that will help you take your presentations to the next level. The seminar will have a mixture of lecture, discussion, and exercises and you are expected to actively participate in the session. David currently works with credit analysis for DNB’s Shipping, Offshore & Logistics clients. Prior, as a business development manager, he has been running projects and trainings on behalf of DNB’s top management responsible for the Baltic operations. He holds a German degree (equivalent to a Master) in Business and Economics. David has an entrepreneurial mind set and is constantly seeking the new experiences, may it be web page development or a new sport. Marius works as a Senior Business Developer for DNB Baltics with a wide array of different tasks. Financial analysis, corporate governance, strategy and communication to mention a few. Marius has for long pursued an international oriented career and has both worked and studied abroad. Marius holds an M.Sc. in Financial Economics from NHH and Master in Management from CEMS. Marius is an entrepreneurial spirit and has recently started his own company in his spare time. The EU Chambers of Commerce in Norway kindly invite members and guests to their annual Norwegian Economic Outlook. Frank Jullum, Danske Bankens Chief Economist will give his latest insight and analysis on the Norwegian Economic Outlook for 2015. Oil prices have been halved since last summer. Which might be positive for the global economy. Meanwhile, for some countries, such as Norway, it results in a dramatic deterioration of the framework conditions. Interest cuts, weaker Norwegian currency and the oil fund-mechanisms will meanwhile dampen the negative effects from the lower oil price. 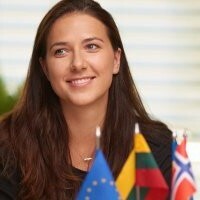 Tone Lunde Bakker was appointed Country Manager at Danske Bank Norway in June 2012. She holds an MBA from Arizona State University in Finance and International Business. She began her career in Christiania Bank and Kreditkassen and joined Focus Bank – now Danske Bank – in 1997, where she has held several positions, e.g. Director, Head of Large Corporates, Executive Vice President for Eastern Region and Executive Vice President Corporate & Institutional Business. 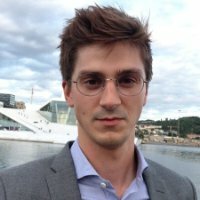 Frank Jullum has a Master’s Degree in Social Economy from the University of Oslo, and is currently Chief Economist in Danske Markets Norway. He has previously been employed with Ministry of Finance, Financial Supervisory Authority and Christiania Markets – now Nordea Markets. He joined Danske Bank in 2001. Danske Bank, previously Fokus Bank, is the third largest commercial bank in Norway. It has a market share of 5%. The bank was founded in 1859 in Trondheim, and became part of Danske Bank in 1999. The bank has about 1,000 employees, 41 branches and almost 200 bn. NOK in total assets. The meeting is free of charge and will be held in English. Please register as soon as possible due to limited seats available and no later than 10th March. Last week Lithuanian-Norwegian Chamber of Commerce had its Annual General Assembly and a seminar about the status quo and learnings about the Norwegian companies in Lithuania and Lithuanian companies in Norway. Gathering was open for all who are interested in Lithuanian-Norwegian business cooperation.We had a pleasure to welcome nearly 40 representatives from different companies from both Lithuania and Norway and the Headquarters of DNB in Oslo.The goal of the gathering was to exchange learnings and give better insights in the status of the Norwegian investments in Lithuania, but also learn more about how Lithuanian companies in Norway are viewing the challenges and advantages of working in the Norwegian market. Former Ambassador of Norway to Lithuania Mr Leif Arne Ulland shared some valuable insights into the status of Norwegian investments in Norway. According to the recent data the Norway is soon to be the 4th biggest investment country in Lithuania. Lithuania exports 5 times more to Norway, than Norway to Lithuania. However, Lithuania is an important transit country for Norwegian product going to other countries, such like Kazakhstan. Lithuanian investments in Norway are rather marginal and results to bare 0.93 mil. LTL. 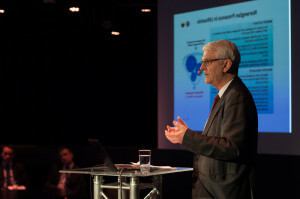 About 45% of the Norwegian investments are based in Vilnius. Norway has a strong business presence via collaboration called “Team Norway”, gathering Norwegian Embassy in Norway, Honorary Consuls in Lithuania, Norwegian-Lithuanian Chamber of Commerce and business people with a long experience doing business between the two countries. Mr. Ulland stressed the importance of establishing such a collaboration in Norway, also the need of establishing “Team Lithuania” network. Many of our guests were impressed with the presentations of two Lithuanian business professionals Ausra Vankeviciute from Staticus Norway AS and Paulius Kvedaras from Kvedaru Ukis. Ausra Vankeviciute is a CEO of a Lithuanian steel construction company with 390 employees and a turnover over 35 MLN EUR. She explained that Staticus became so successful in Norway only because they were met with trust by many Norwegian institutions and companies. Ms Vankeviciute stressed the importance of focusing on quality, not quantity, and having the right certificates for the job that the company wants to do. In 2013 Staticus was voted to be Lithuanian Exporter of the year. Paulius Kvedaras represented a family business from Lithuanian – Kvedaru Ukis, with an established and sound business in Lithuania. 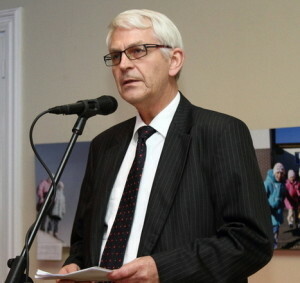 However due to the changing political landscape Kvedaru Ukis decided to explore the business possibilities in Scandinavia, and first and foremost in Norway. Mr Kvedaras admitted that it is not easy to find the information about the Norwegian market in English, but was impressed with the competence and service level he met in his encounter with the Norwegian Custom Office. 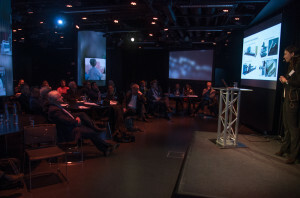 His presentation of how Kvedaru Ukis is executing market research about Norway impressed even the most experienced business professionals in the audience. Some of them even applauded Mr Kvedaras for a perfect schoolbook example of how to do a market research. After the presentations everybody had a chance to get to know each other closer by sharing a platter of the most delicious tapas and Spanish vine, specially selected for the occasion by, Hjørdis B. Rasmussen from DNB, who assisted LNCC in organising this great event. Big thanks to Ms Rasmussen. Quite a few of our guests found relevant business contacts during the gathering. 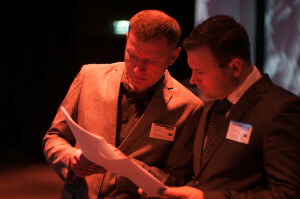 This makes our event a total success for the Lithuanian-Norwegian Chamber of Commerce, especially because our goal is to establish a lasting business network in Norway, that could gather business professionals from both countries and in this way strengthen the business relations between Norway and Lithuania. We welcome present and prospect members to a seminar and LNCC General Assembly. CRYPTO SOCIETY: ARE WE READY? ©2017 All Rights Reserved - LNCC. - delivered by Connexus.